Hayne, David M. et al. "Poetry in French". The Canadian Encyclopedia, 28 May 2018, Historica Canada. https://www.thecanadianencyclopedia.ca/en/article/poetry-in-french. Accessed 25 April 2019. Satirical and epigrammatic verse in French appeared in 18th-century Québec newspapers, but only 2 poets writing before 1820, both Frenchmen, deserve mention. Satirical and epigrammatic verse in French appeared in 18th-century Québec newspapers, but only 2 poets writing before 1820, both Frenchmen, deserve mention. Joseph Quesnel (1746-1809), captured at sea off Halifax in 1779, later settled near Montréal and wrote songs, poems and plays. Joseph Mermet (1775-1828? ), sent to Canada with De Meuron troops to help repel the American invasion of 1812, wrote dozens of poems, including a description of Niagara Falls and an account of the French Canadian victory at the Battle of Châteauguay (1813). The first volume of verse (1830) published by a French Canadian contained didactic poems by Michel Bibaud (1782-1857), among them satires on avarice, envy, laziness and ignorance. By that time the new "classical colleges" were producing young men with political aspirations and literary interests. The French romantic poets Lamartine and Hugo were being read and imitated by the future historian François-Xavier Garneau and Québec's future premier, Pierre-Joseph-Olivier Chauveau. Before 1850, however, poetry was primarily a political weapon or an elegant diversion, and poems were printed only in newspapers and magazines. After 1850 poets became more numerous, and can be grouped in 3 "generations." The first, born in the 1820s, includes Joseph Lenoir, author of exotic oriental fantasies and of skilful verse translations of Burns, Longfellow and Goethe; Louis-Joseph-Cyprien Fiset, who wrote long narrative poems on Canadian historical subjects or on the emigration crisis (see Franco-Americans); and the most competent versifier of this group, Octave Crémazie, who, before his self-imposed exile for bankruptcy in 1862, became the unofficial bard of French Canada with his poems on international topics (Crimean War, unification of Italy), the glories of the French regime in Canada and the obligations of the living to the dead. But Lenoir died prematurely, Crémazie left Canada and Fiset abandoned poetry for law. A new generation of poets, born during the 1830s and associated with the literary movement of 1860, succeeded them. Alfred Garneau (1836-1904), self-effacing son of the historian, left some 60 poems attesting to his sensitivity and his wide knowledge of French poetry. Léon-Pamphile Le May, librarian of the Legislative Assembly of Québec, published almost a dozen collections of poems, including a verse translation of Longfellow's Evangeline. Le May's best-known volume, Les Gouttelettes (1904), consisted entirely of the new sonnet form, although his themes - religion, friendship, patriotism, the beauties of rural nature - remained those of his youth, and linked the 1860 movement with regionalism in early 20th-century Québec. The most important poet of this generation was Louis Fréchette, author of Québec's first volume of lyric poetry (Mes loisirs, 1863) and of the most important collection of narrative poems published in 19th-century Québec (La Légende d'un peuple, 1887). He was also the first Québec poet to be honoured by the French Academy (1880), and the first to publish a collected edition (3 vols, 1908) of his own verse. After Confederation took Parliament to Ottawa in 1867, the 1860 literary movement in Québec City languished until 1875, when a new generation of poets, born about 1850, began to publish. Nérée Beauchemin (1850-1931), an obscure country doctor in Yamachiche, wrote tastefully of the joys of rural life in poems that were not collected until 1897. William Chapman (1850-1917) was a youthful admirer of Fréchette, but later turned against his idol, denouncing him as a plagiarist. Chapman's most successful collections were those he published in France early in the 20th century (Les Aspirations, 1904; Les Rayons du nord, 1909), which depicted a colourful Canadian northland peopled by voyageurs, trappers and lumberjacks. The most original of this last generation of romantic poets was Eudore Évanturel, whose one slim volume, Premières poésies (1878), was attacked by the enemies of its prefacer, Joseph Marmette; Évanturel, discouraged, never returned to his whimsical accounts of flirtations and his witty personifications of the Canadian seasons. Between 1830 and 1895, some 50 Québec poets published about 100 collections of verse. Their work was frequently inspired by the French romantics, but, unlike their models, 19th-century Québec poets neglected the themes of passionate love, individualism or pantheism, preferring patriotic, social, historical or religious subjects. Yet their experiments with versification were varied: in their youth Fréchette and Le May attempted dozens of verse forms. Gradually sonnets and 6-line stanzas became the accepted lyric forms, whereas alexandrine (12-syllable) rhyming couplets were used in narrative poems. The period 1830-95 was thus one of poetic apprenticeship. There were no great poets and no outstanding works, but there was considerable imitation, adaptation and experimentation. A poetic tradition was being created, a reading public being formed. The École littéraire de Montréal (founded in 1895) concentrated on purifying the French language and seeking out new forms of literary expression. The movement, which survived into the 1930s, lived through a period marked by the emergence of rural poetry (the "terroir" school) and the "art for art's sake" (Parnassian) movement. The École's first 5 years culminated in the publication of its first collection, Les Soirées du Château de Ramezay (1900), followed by Émile Nelligan's Poésies in 1904. Nelligan, the youngest member of the group, created a remarkable collection of poetic works over a 3-year period (1896-99). Strongly influenced by Paul Verlaine, Charles Baudelaire, Georges Rodenbach, Maurice Rollinat, Edgar Allen Poe, José de Heredia and Leconte de Lisle, he had a gift for imagery and music, successfully mastered the sonnet and the rondeau, and plunged with determination into the depths of his troubled soul to create a sad, delirious and sometimes hallucinatory poetry. His "Romance du vin" and "Vaisseau d'or" describe his destiny as an artist and bear witness to his marvellous mastery of verse. After 1900, the symbolist dream crumbled. The École sought to evoke "the soul of the people," in the words of Charles Gill, whose Cap Éternité (1919), the fragments of a Dantesque fresco, reflects the trends of that period. Some poets, among them Louis-Joseph Doucet, Lionel Léveillé, Hector Demers and Albert Ferland (author of Le Canada chanté) devoted themselves to nationalist poetry. The review Le Terroir lasted scarcely a year, and its 10 issues were published in book form in 1910. 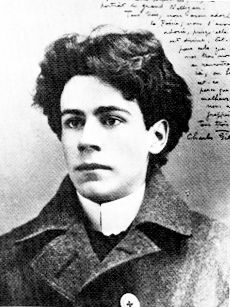 Some members of the École concentrated on poetry with a philosophical bent: Jean Charbonneau (Les Blessures, 1912); Alphonse Beauregard (Les Forces, 1912; Les Alternances, 1921); and Jean-Aubert Loranger (Les Atmosphères, 1920; Poèmes, 1922), the last enriching his meditation on man with oriental and unanimist influences. The school's third collection, Les Soirées de l'école littéraire de Montréal (1925), contained the works of 10 poets. Around 1930 the École disbanded, but a few collections were still published: Charbonneau's La Flamme ardente (1928), Gonzalve Desaulniers's Les Bois qui chantent (1930) and Joseph Melançon's Avec ma vie (1931). The rural theme continued to develop. The fields, rivers, forests and villages of this poetry carried an often nostalgic tune, echoing the early settlers' songs. This tradition was a carry-over from the previous century. The young poets of Crémazie's era, strongly attached to the homeland, suddenly found themselves at the dawn of the 20th century. The rural theme became the leitmotif of all Blanche Lamontagne-Beauregard's poetry, her second collection, Par nos champs et nos rives (1917), being a striking example. Rural poetry is found in the works of Alphonse Désilets (pseudonym, Jacquelin), eg, Heures poétiques (1910), Mon pays, mes amours (1913) and Dans la brise du terroir (1922). Jules Tremblay, an intimist poet, took up rural poetry in Arômes du terroir (1918), his fourth collection. Émile Coderre (pseudonym Jean Narrache) created a sort of dialectic poetry in Quand j'parl'tout seul (1933), but the best rural poets were without doubt Nérée Beauchemin and Alfred Desrochers. Beauchemin wrote 2 collections evocative of Canadian history and life in Trois-Rivières: Les Floraisons matinales (1897) and Patrie intime (1928). DesRochers is noted for his startling vision of reality and his mastery of sonnet, rondeau, madrigal, chanson, acrostic, ode and elegy. The life of early settlers, vigorous thought and masterly art dominate DesRochers's L'Offrande aux vierges folles (1928) and A l'ombre de l'Orford (1929). With its powerful epic flavour, his poem "Hymne au vent du nord" is a landmark in the history of rural poetry. The "art for art's sake" movement began in Québec in 1895 with the exotic sonnets of Arthur de Bussières. Although Alfred Garneau, Émile Nelligan, Jules Tremblay, Guy Delahaye, René Chopin and Marcel Dugas all practised symbolism, they also occasionally indulged in Parnassian art. The best representative of art for art's sake in Québec was lawyer Paul Morin. Sonorous vocabulary, striking imagery and exotic landscapes are all found in his Paon d'émail (1911) and Poèmes de cendre et d'or (1922). The short-lived review, Le Nigog (1918), launched a Parnassian movement which rapidly faded when it ceased publication. At the beginning of the century, there emerged many poets who had little or no attachment to any particular school. An example is Louis Dantin (pseudonym Eugène Seers), the author of philosophical poetry and a literary critic, but above all, the person who revealed Nelligan's poetry to Montréalers in 1902. Also worthy of mention is the paralytic poet, Albert Lozeau, whose nostalgic landscape is found throughout his collections, L'Ame solitaire (1907) and Le Miroir des jours (1912); and Antonio Desjardins, author of Crépuscules (1924). Most important is Robert Choquette, whose first 3 collections, A travers les vents (1925), Metropolitan Museum (1931) and Poésies nouvelles (1933), are permeated by a visionary force and probe the destiny of modern man. Between 1895 and 1930 Québec poetry dealt with a wide range of experiences. Beginning with the romantic tradition, it soon evolved toward symbolist poetry, later the "terroir" movement, and lastly the Parnassian school. Having turned away from traditional forms, it moved slowly toward free verse. In poetry, as in other matters, change was often resisted in Québec: Clément Marchand (Les Soirs rouges, 1947) and Alphonse Piché (Remous, 1947) attempted new themes while adhering to traditional forms. Simone Routier (Les Tentations, 1934) adopted free verse but without any other advance. The mercurial François Hertel (Axes et parallaxes, 1941), a Jesuit and for over a decade a leading cultural figure, did much to encourage a climate of change; yet his intellectual poems failed to acknowledge the realities of Québec's future. The real vanguard in poetry at this time consisted of 4 rather isolated poets: Hector de Saint-Denys Garneau, Anne Hébert, Rina Lasnier and Alain Grandbois. Garneau published only one collection in his lifetime, Regards et jeux dans l'espace (1937). A second collection, Les Solitudes, appeared posthumously in his Poésies complètes (1949). Living in seclusion, Garneau devoted himself to poetry and to an increasingly difficult spiritual journey. His poems, written in rigorously controlled free verse, have a magical quality, expressing anguish and joy with equal simplicity and beauty. In Hébert's Les Songes en équilibre (1942) the poet becomes a priest-magician with a social function. Hébert's psychological explorations reached the collective unconscious in Le Tombeau des rois (1953), in poetry pared to the bone. In the second half of Poèmes (1960) she entered a new phase, addressing Québec (or humankind) with epic generosity of line and spirit. Beginning with Images et proses (1941), Lasnier wrote principally on religious themes. Though her early work is too intellectual to be of lasting interest, in Escales (1950), Présence de l'absence (1956) and later volumes her poetry is an impassioned plunge into contradictions wherein darkness and light come to coexist. Other women poets of this period include Medjé Vézina (Chaque heure a son visage, 1934), Jovette Bernier (Les Masques déchirés, 1932), Cécile Chabot (Vitrail, 1939) and Jeannine Bélanger (Le Visage dans la roche, 1941). Grandbois became the most influential of the new poets, but his influence was primarily among the younger poets who came to dominate the 1960s. Les Îles de la nuit (1944) was a breath of fresh air, treating the poet's obsessive world travels, and conveying a sense of the cosmic and of human fraternity, as well as an unconstrained eroticism. The poems were fragmented and often surrealistic, yet thoroughly accomplished, as were the volumes that followed: Rivages de l'homme (1948) and L'Étoile pourpre (1957). During the "Dark Years" of the rule of Premier Maurice Duplessis (1944-59), an important minority of poets chose surrealistic modes of expression. Most had ties with the visual arts or jazz. Refus Global (1948), a revolutionary cultural manifesto by painter Paul-Émile Borduas, included poems by Claude Gauvreau (Brochuges, 1957), whose work consisted of strangely meaningful nonsense words. Roland Giguere was an accomplished painter, engraver and typographer as well as a major poet. His poems, brought together in L'Age de la parole (1965), are in revolt against anything that might suppress or sterilize life. Gilles Hénault sought "signs" in the remote past, among native peoples and in the collective unconscious as encountered in dreams. His 3 volumes of poetry are collected in Signaux pour les voyants (1972). Other poets whose writings touched upon surrealism include Yves Préfontaine (Boréal, 1957), an editor of Liberté; Marie-Claire Blais (Pays voilés, 1963), better known for her novels; and Claude Péloquin (Jéricho, 1963). Foremost was jazz musician Paul-Marie Lapointe, whose "automatiste" method of writing (see Automatistes) was akin to jazz improvisation. Only his first volume, Le Vierge incendié (1948), is truly surrealistic, but it contains the basic themes of all his poetry - justice for mankind, sexual freedom and the liberating power of love - expressed through repetition and inventory, and with great musicality. In later works, brought together in Le Réel absolu (1971), individual rebellion becomes collective revolution. Though a gradual shift was taking place toward politicized poetry, many poets continued to write within their personal worlds. Éloi de Grandmont (Plaisirs, 1953) wrote charming verses celebrating the pleasures of love. Sylvain Garneau (Les Trouble-fête, 1952) lived in an adolescent dreamworld, pure yet disturbing, before killing himself in his early twenties. Gilles Constantineau (Simples Poèmes et ballades, 1960) portrayed an intimate world illuminated with striking perceptions and happiness. Luc Perrier (Du temps que j'aime, 1963) precisely evoked the strange poetry of daily existence. At the opposite extreme, Suzanne Paradis (Pour les enfants des morts, 1964) poured out her ardent will to live, affirming a powerful feminine mystique and expanding it to affect all areas of life. The publication in 1958 of La Poésie et nous, consisting of essays by Hénault, Préfontaine, Michel Van Schendel, Jacques Brault and Wilfrid Lemoine, signalled the development of indigenous poetic theories. During the 1940s the magazines, La Nouvelle Relève and Gants du ciel, had helped introduce the ideas of the French avant-garde. By the 1960s it was clear that the ideas most relevant to Québec were those emerging within the province itself. The magazines Liberté and Parti Pris fostered a vigorous exchange of literary and political thinking. Publishing houses were equally important, especially les Éditions de l'hexagone (founded in 1953). During the 1960s Québec experienced a sudden growth in collective self-awareness and political ferment (see Quiet Revolution). French Canadian nationalism and the arts began to seem inseparable, justifying and stimulating each other. Although much nationalist writing was little more than propaganda, a surprising amount achieved the highest poetic quality, as did Brault's Mémoire (1965). Brault, like Paul-Marie Lapointe and many others of the period, belonged to the Hexagon movement, which consisted of essentially nationalist poets. At the centre of the movement, and principal force behind les Éditions de l'hexagone, was the energetic and charismatic Gaston Miron. After Deux Sangs (1953), which he published with Olivier Marchand, Miron refused to collect his own poems until 1970, though he was a gifted poet and performer. The theme of the land was a constant in the poetry of the 1960s, which gradually pulled away from the pan-Canadian perspective offered in Pierre Trottier's Le Combat contre Tristan (1951). The St Lawrence River became a national symbol. Pierre Perrault celebrated its islands in Toutes isles (1963), and Gatien Lapointe's effusive poetry reached its highest expression in J'appartiens à la terre/Ode au Saint-Laurent (1963). Van Schendel's Poèmes de l'Amérique (1958) was a reaction to the violence of modern America, but his Variations sur la pierre (1964) conveyed a sense of being reborn in Québec. Nationalist themes entered the powerful writing of Fernand Ouellette in Le Soleil sous la mort (1965), a title suggestive of national regeneration. That idea is made explicit in Andrée Maillet's Le Chant de l'Iroquoise (1967). In addition, although Paul Chamberland's Genèses (1962) may suggest a solitary spiritual struggle, that struggle is made concrete and collective in his Terre Québec (1964), a work of unfailing intensity and originality. Language, affecting both the form and the content of Québec poetry, was the most important nationalist theme of all. Whether as Joual or as a "legitimate" dialect of French, Québec French was long a source of humiliation. 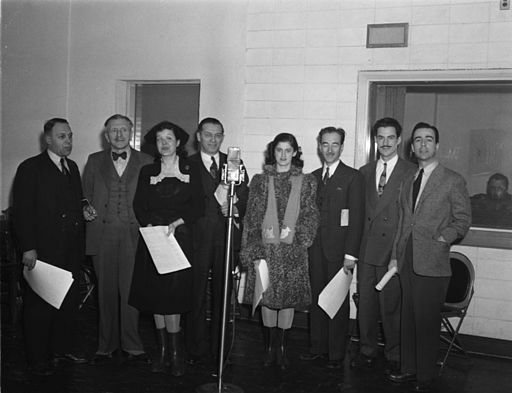 As that humiliation was confessed, probed and held up for redress, the language gradually became a national birthright; for poets, le parler québécois became a vivid mode of expression as well as a symbol both of the nation and of the very enterprise of poetry. Fernand Dumont published a group of poems entitled Peuple sans parole (Liberté, 1965), and Yves Préfontaine published Pays sans parole (1967). Language dominated the poems of the future Parti Québécois culture minister, Gérald Godin (Les Cantouques, 1966). Most famous is Michèle Lalonde's Speak White (1974), a bitterly ironic poem first recited in 1968. By the end of the 1960s the nationalist, populist phase of Québec poetry was coming to an end, though Lalonde carried it to the extreme in Défense et illustration de la langue québécoise (1979). Poets like Luc Racine (Les Dormeurs, 1966) and Raoul Duguay (Ruts, 1966) began to argue for more concern with pure writing and less with messages. As though it had proven its worth after a decade or more of activism on a common front, poetry now could afford to turn inward, to adapt to individual interests in the mundane or the metaphysical. This period is marked by a shattering of the ideological, nationalist and humanist unity that permeated the poetry of the 1960s. Although the break is not complete, the young generation of poets turned away from the "poésie du pays" movement exemplified by Gaston Miron's L'Homme rapaillé (1970) and adopted surrealism and its Québec variant, automatism. The works of Paul-Marie Lapointe, Claude Gauvreau, Roland Giguère and Gilles Hénault, all born between 1920 and 1930 and affiliated with surrealism, have been republished and widely read. The new poetry is not a simple extension of this trend, but reflects a mentality. It is the radical rebuttal of all social and cultural institutions and the values associated with them, and is critical of the dogmatic unity inherent in "la belle poésie." The avant-garde finds its most coherent expression in the poetry of the group associated with Les Herbes rouges. Inspired more by the theories of the French avant-garde than by those of the American counterculture found in poets like Denis Vanier and Lucien Francoeur, the journal Les Herbes rouges is in fact a publishing house which has issued 100 or so brochures over a 10-year period. The influence of Nicole Brossard figures prominently in its publications. Two of her collections, Suite logique and Le Centre blanc (1970), set the tone for the decade: disjointed syntax, preoccupation with the irrational (desire, the body, loss of the senses, madness) in a reflective and critical manner. Roger Des Roches and André Roy follow the trend set by Les Herbes rouges, while François Charron tends to depart from it through the use of parody and a return to lyricism. The poetry of this period generally rebels against the previously dominant telluric and cosmic-inspired lyricism, an exception being the mystical-cosmic utopia created by Paul Chamberland in Demain les dieux naîtront (1974). Elsewhere, private life and the urban world are dominant. This poetry of everyday existence is expressed in the work of Michel Beaulieu, particularly in Variables (1973) and in Anecdotes (1977), which uses analytical language to convey modern man's drift through his body, desires and memory. For Juan Garcia and Alexis Lefrançois, private life becomes the focal point for the metaphysical experience of experimentation and purification; the concisely expressed individualism of Gilbert Langevin (Mon refuge est un volcan, 1978) is a scathing denunciation of modern society. By contrast, Michel Garneau and Pierre Morency affirm the "torrential" and "amorous" energy of the individual. Finally, 2 poets of the Hexagone generation, Jacques Brault, in L'endessous l'admirable and Poèmes des quatre côtés (1975), and Fernand Ouellette in Ici, ailleurs, la lumière (1977), undertake an inner journey and react against the more superficial aspects of the modern world. The major poetic movement of the latter part of the decade is linked to the modernism of Les Herbes rouges. Inspired by Brossard's reflection on the imaginary, this new movement places great importance on feminist concerns. Madeleine Gagnon's Pour les femmes et tous les autres (1974), Brossard's La Partie pour le tout (1975) and France Théorêt's Bloody Mary (1977) are the first examples of "feminist writing" to challenge patriarchal symbolism and develop fiction documenting the history and experiences of women. This trend appears to be leading poetry toward less revolutionary forms and to a fusion with other literary genres, particularly narrative writing and the essay, examples being the works of Yolande Villemaire and Suzanne Jacob. At the end of the decade, there was evidence of a "new imagination" and a "new readability" embodied in Les Passions du samedi (1979) by André Roy, the neo-lyricist writing of François Charron, the transparency of Philippe Haeck and, at another level, that of Marie Uguay. The resounding success of Estuaire (a journal published since 1976), publishing houses like Éditions du Noroît, poet Gatien Lapointe's Écrits des forges, and the production of works at Éditions de l'hexagone all attest to the continuity and diversity of Québec poetry in the early 1980s. Two new works of note are François Charron's La Vie n'a pas de sens (1985) and Normand de Bellefeuille's Catégoriques (1986). Réginald Hamel et al, Dictionnaire pratique des auteurs québécois (1976); M. Lemire, ed, Dictionnaire des oeuvres littéraires du Québec, 5 vols (1980-88); L. Mailhot and Pierre Nepveu, eds, La Poésie québécoise (1981). THE DEATH OF MIRON: PUBLIC POETRY AND QUEBEC SEPARATISMA paper about political themes of the work of prolific Québécois poet Gaston Miron. From the Michigan Quarterly Review. French-Canadian PoetsA brief history of French-Canadian poetry from Canada’s Historic Places. Poet Laureate Michel Pleau, 2014-2016A biography and selected poetry from the Parliamentary Poet Laureate Michel Pleau. From the Library of Parliament. A Feminine Context in Quebecois Poetry Click on the link to read “A Feminine Context in Quebecois Poetry,” an article that analyzes major themes in the poetry of French Canada. From the website for the Franco-American Women's Institute. OCTAVE CRÉMAZIE AND HIS RETURN TO MOTHER DEATHA critical review of Octave Cremazie's poetry. From the website for the University of British Columbia. Nelligan: The Back StoriesAn illustrated feature on the enduring legacy of Québécois poet Emile Nelligan. From the website Opera Lively. Esprit de Corps: Québec Poetry of the Late Twentieth Century in TranslationRead a review of “Esprit de Corps: Québec Poetry of the Late Twentieth Century in Translation” which covers the “canon, culture, identity, poetics, politics, and translation specific to French Québec poetry.” From canlit.ca. Émile Nelligan: Selected PoemsRead excerpts from “Émile Nelligan: Selected Poems.” With commentary and English translations. From Google Books.